Do you prefer a precise and tidy look? Arranging items on floating shelves by color or stacking books on their side instead of straight up can add visual interest. Books can also lean on shelves without being completely vertical or horizontal. Don’t think that shelves are just for books. Paintings, framed photos, a cherished collection, trophies and even accessories that you can’t quite seem to fit anywhere else can make their home here. Balance is key. Without it, your shelves run the risk of looking either too cluttered or too bare. For example, if you’re displaying a few small items, don’t group them all together. Place some on either side of your floating shelves in opposing spaces. Will your floating shelve be an area that the family has to access often? If so, place heavier items on the lower shelves, so they’re easier to reach. Lighter items can be safely placed up top. Another way to create balance is with a specific theme or color. In this room I designed, we incorporated plenty of warm earth tones in the mix. Spreading them out adds symmetry to the floating shelves, not to mention the entire room. This is harmony at its best! You can also take advantage of shape. In the room above, notice how the left shelf houses a long, slim vase that fits the opening perfectly. Even if your tall and short items don’t seem to make sense together, they will once they’re dispersed. It all goes back to balance! If you think floating shelves would work wonders for your home, Paula Berg Design Associates would love to work with you. Contact one of our studios in Park City or Scottsdale today! The kitchen has long been a secluded space. But these days, homeowners want to prepare meals and mingle openly without feeling confined. 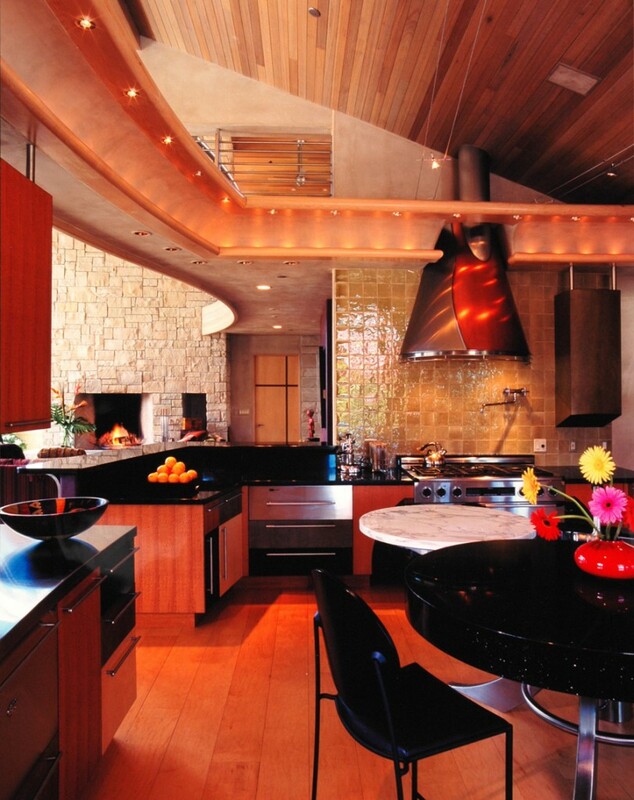 As such, open-concept kitchens are in high demand. If some privacy is still a must, you’ll be surprised that even the most open kitchens can still leave something to the imagination. This kitchen is shown twice from different angles. Even if entertaining is a priority, that doesn’t mean you want your kitchen mess on display. And perhaps you don’t want the aroma of your meals to linger long after everyone’s eaten. 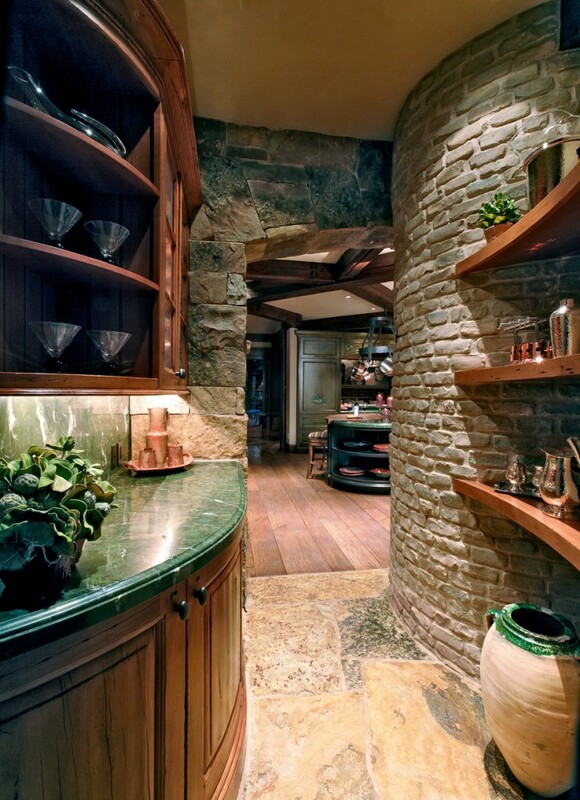 This kitchen achieves openness, while still managing to hide behind a clever passageway. 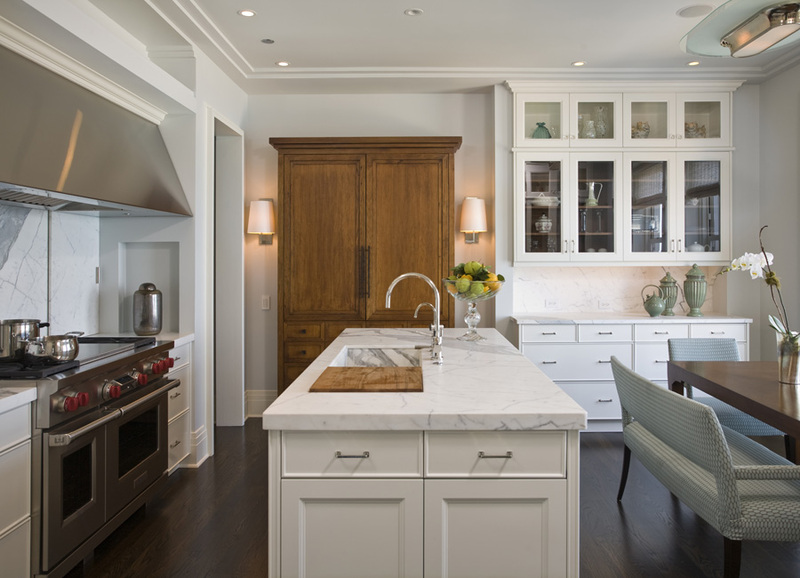 This warm and cozy kitchen is all about the island. There’s plenty of counter space to serve goodies, but did you also notice there’s no seating? Guests will get the picture — grab some grub and keep moving. How about masking just part of the kitchen with a half wall? Here, you can see the living room on the left along with a partial dividing wall. The sink and range are out of view, so guests won’t see you rushing to get the hors d’oeuvres and drinks ready. Still, it’s open enough that if anyone needs help, you’re still easily accessible. Some think that a closed-concept kitchen is too isolated and doesn’t allow easy access to the main dining area. This diner-style kitchen demonstrates the exact opposite. Much like a trendy cafe, this kitchen is perfect for interacting with friends while whipping up meals. What’s great about this kitchen is that it combines the concept of open and closed on the sly. The island in the middle creates an illusion of separatism. The host’s space is to the left, while the guests can gather to the right. 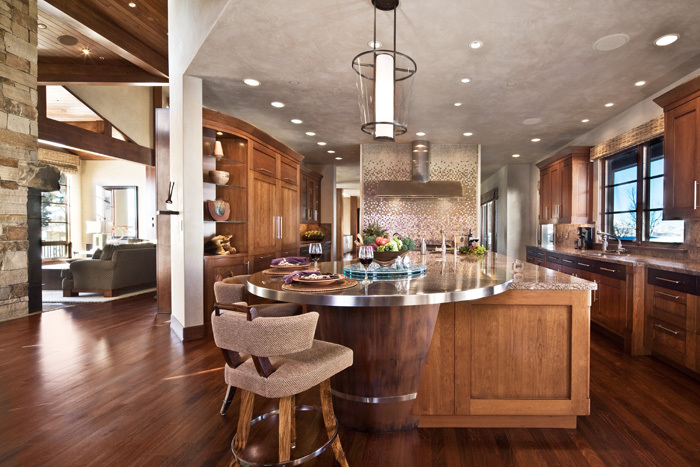 Although everyone can easily mingle all over the kitchen, the island helps to keep both parties in their own zones. Which kitchen concept is right for you? It’s all about you and your family’s needs. 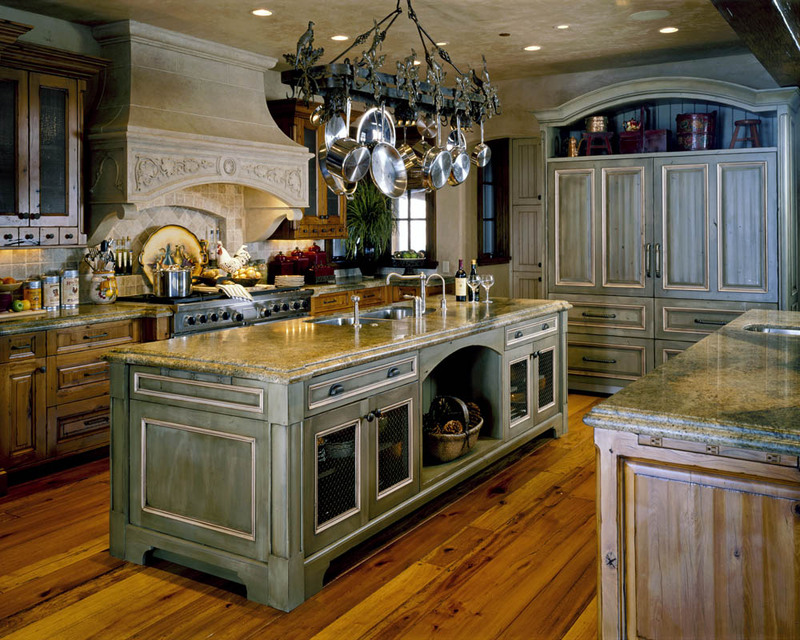 Paula Berg Design Associates would be happy to help you design your future kitchen. I was absolutely thrilled to be featured in Western Art & Architecture magazine. Celebrating everything “from cowboy to contemporary,” this magazine is the definitive source for Western design inspiration and ideas. Western Art & Architecture editor Eliza Cross devised a fantastic piece that beautifully articulates my design background and the history of my firm. The article highlights how, despite the numerous awards and success of my firm, I maintain a client-centric approach by remaining the lead designer and meeting each client in person. I love this part of my job, not only because it allows me to truly get to know my clients and see them in their natural surroundings, but it also gives me the opportunity to travel extensively. When Eliza asked me how I was able to accomplish everything, I explained that my strong team is very selective about the clients and projects we take on. Eliza also mentioned the high level of trust I share with my clients. In fact, I was asked to design one of my client’s final resting places as a result. The article then goes back to the beginning by recounting my experiences as a concert organist and Pan Am flight attendant before attending Ohio University and studying abroad in Europe. From there, I completed Georgia State University’s graduate program in interior design. My experiences hosting a radio program on design and running an interior design boutique eventually culminated into my very own design firm. Finally, Eliza shares, in detail, how I navigate the design process with my clients by talking and listening and creating hand-drawn renderings to illustrate my visions and ideas. My client-centric approach explains why my designs are so diverse, as I base them on their geographic region and personal aesthetic and lifestyle. Read the whole piece by Eliza Cross in Western Art & Architecture online. Contact Paula Berg Design Associates in Scottsdale and Park City for more information about my services and design work. 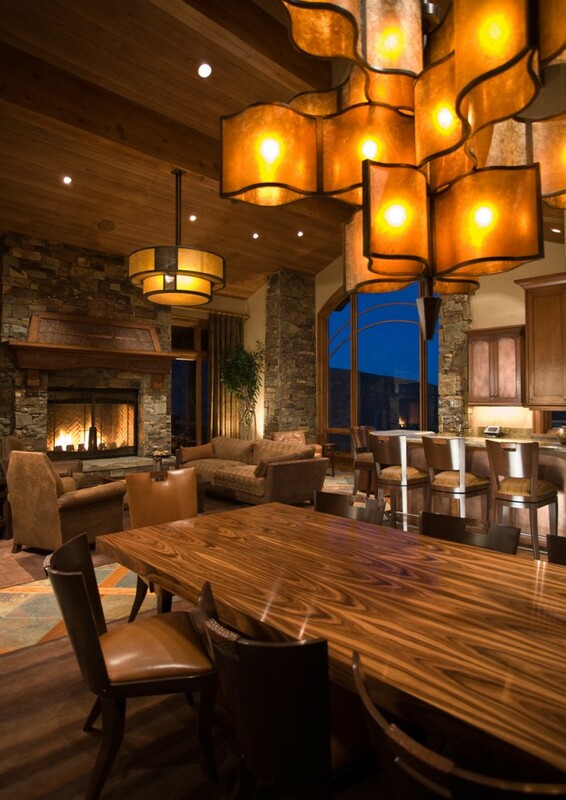 Beautiful interiors are best shown off with a series of custom light fixtures. This was my motto for many of the projects I designed involving unique chandeliers. Traditionally, light fixtures have been viewed as functional objects, but are now playing a bigger design role in creative ventures. Therefore, I decided to shine some light on Hammerton, one of the largest custom residential lighting manufacturers in theUnited States. Based in Salt Lake City,Utah, Hammerton was founded in 1995 by Levi Wilson. Since then, the company has grown tremendously in the design world. Best known for their custom services, Hammerton has gained national recognition for creating exquisitely designed light fixtures entirely from scratch, as well as with customer-specified materials, such as rawhide and textured glass. From classic to contemporary and western to urban, Hammerton carries a range of collections with both indoor and outdoor products. Designers can find frontier elegance in their Log & Timber Collection or sophisticated city influences in their Contemporary Collection. But best of all, every sconce and ceiling light is finished with hand-applied paints and decorative finishes. Here’s one of my interior designs featuring a truly magnificent light fixture by Hammerton. 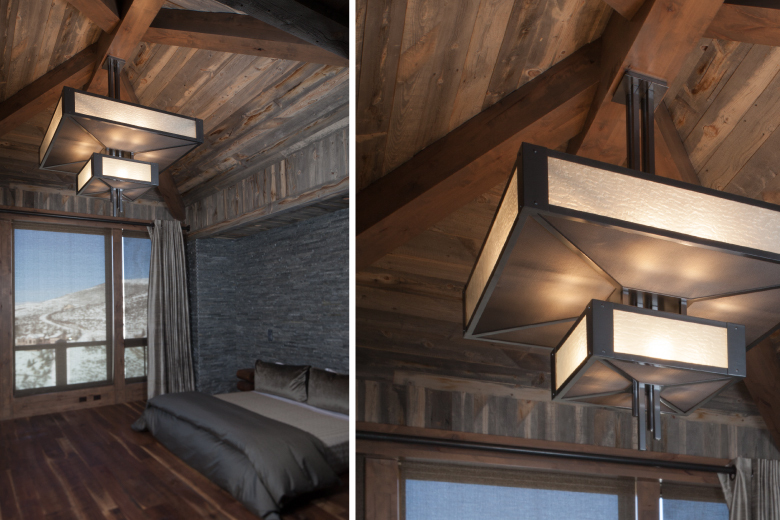 I designed the chandelier and had Hammerton custom make and manufacture the piece for a contemporary mountain home. The mica used in the fixture really makes the chandelier glow in an understated way. 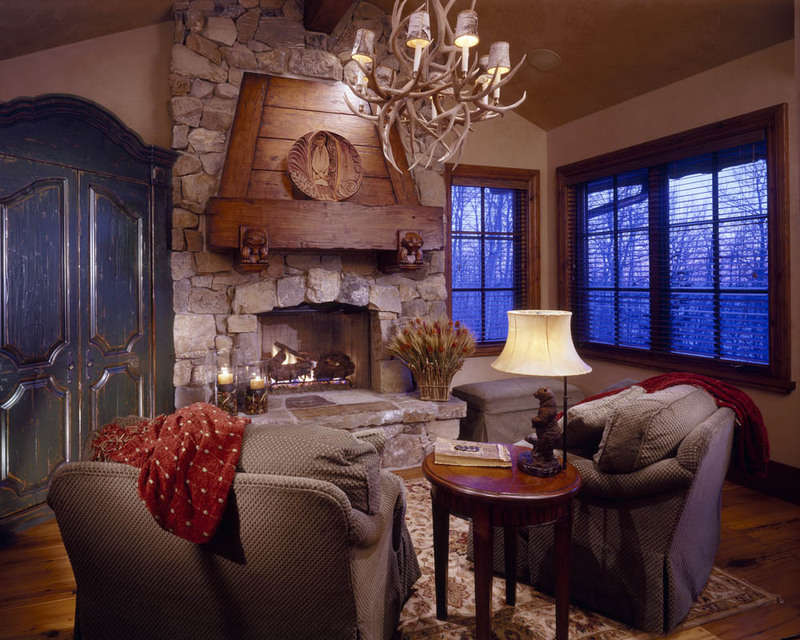 Additionally, the energy exuding from the fixture is both eye-catching and dynamic, serving as the perfect focal point for this rustic yet modern interior. Visit the Hammerton website to view more of their beautiful fixtures, and be sure to check out Hammerton’s blog, The Spark, as well. And if you’ve had a piece by Hammerton installed in your home, leave a comment to let us know about it. We would love to hear how you’ve incorporated one of their gorgeous designs into your space. If you are in need of assistance designing a new home or remodeling your current space, let my team and I help you achieve the look you’re dreaming of. 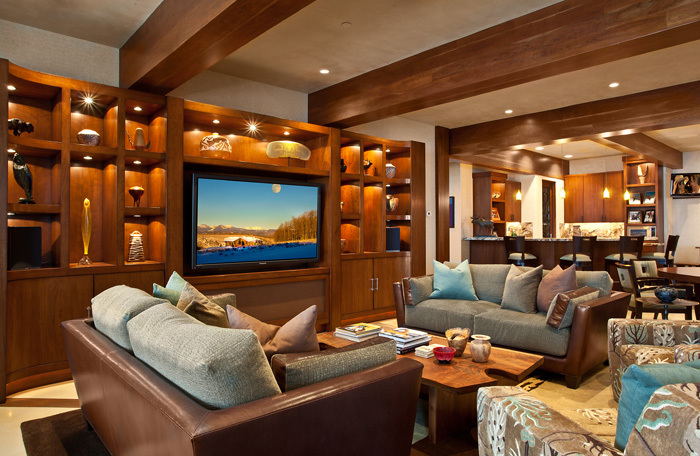 Contact Paula Berg Design Associates in Park City or Scottsdale to schedule a design consultation. The fireplace mantel is an important surface within the home where families often place their photos on display. It’s also a natural focal point that the human eye can’t help but take a look at. But when the mantel itself is a work of art, there’s little to no need for predictable extras. 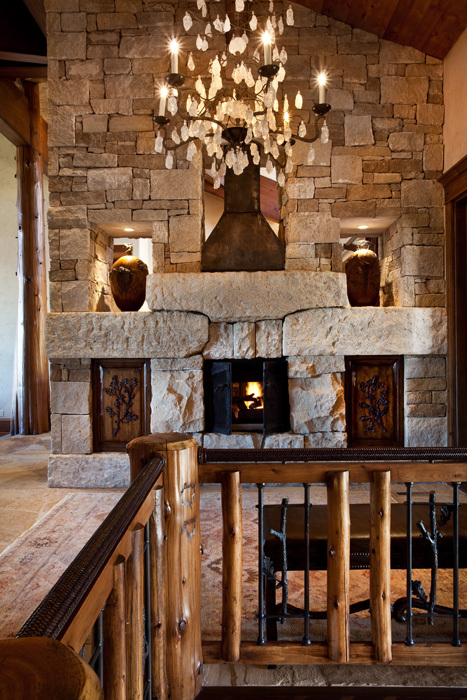 The fireplace is an obvious location to install stone in the home. 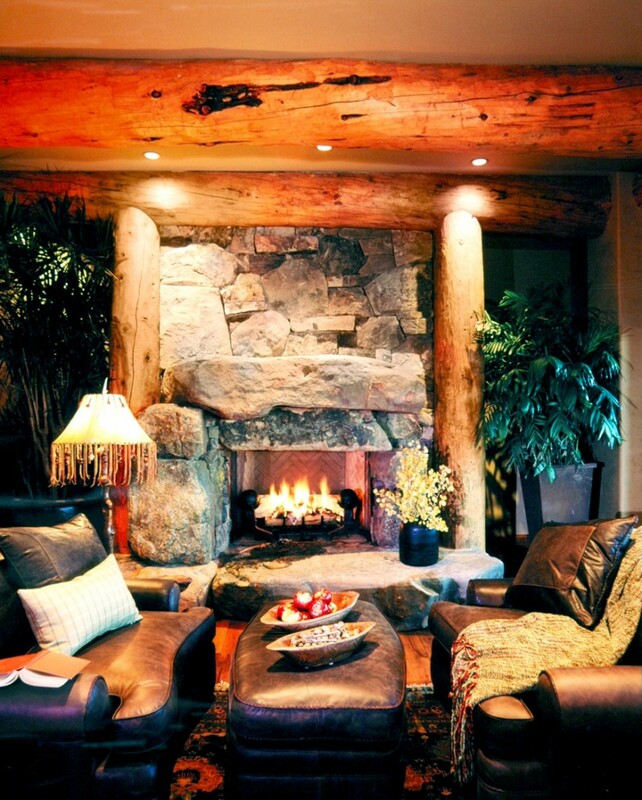 Together, fire and stone create a harmonious, warm and classic atmosphere. It’s also the perfect focal point during the rough winter season. This cozy living space is a great spot to catch up with friends over coffee. Over-accessorizing the mantel is a mistake you’ll want to avoid. Too many knick knacks will create a feeling of clutter, which is not relaxing. A simple pairing of large urns on either side here is more than sufficient. 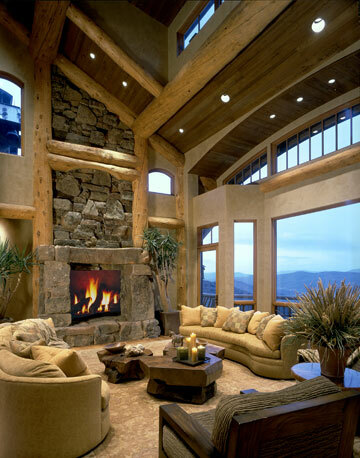 After all, the floor-to-ceiling stacked stonework is what’ll really catch everyone’s attention. Even so, the mantel doesn’t feel unfinished or bare – there’s a happy balance. A mantel with a metallic finish like this one needs no further adornment. Some people may think that a bare mantel needs a predictable vase or picture frame, but that’s not always the case. 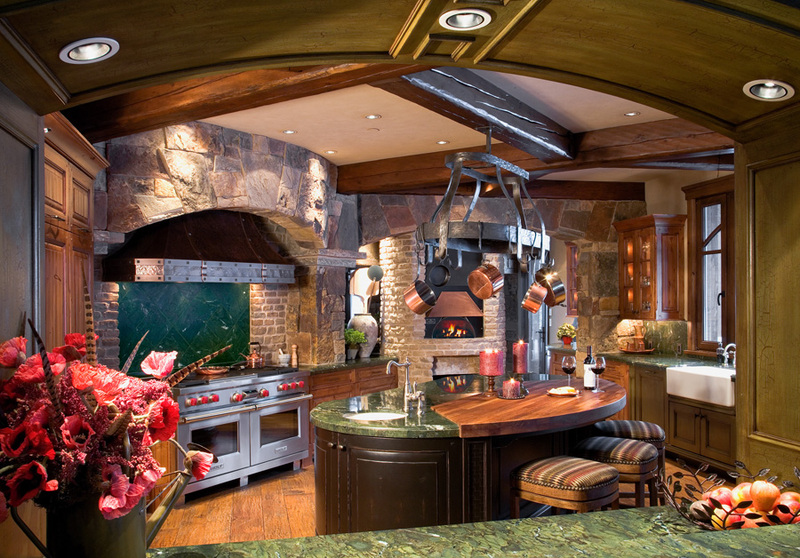 The combination of rugged stone, metal and tile here will give you plenty to admire. 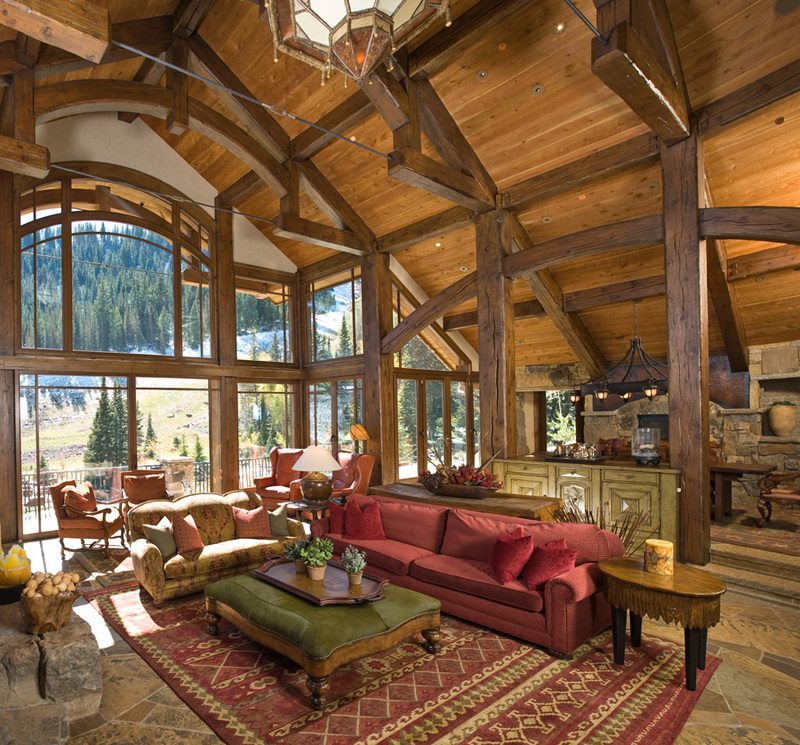 Materials like these are perfect for creating a one-of-a-kind mountain-style home design. For centuries, natural stone has been trusted and admired for its strength, durability and longevity. But we can’t forget the beautiful masterpieces that can be created. 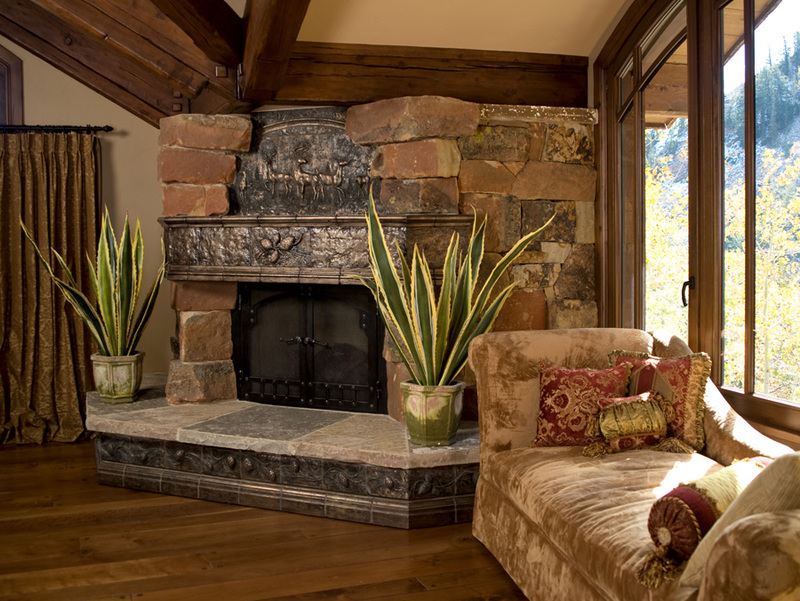 This natural stone fireplace mantel looks perfect just a few feet away from a peaceful, inspiring and equally natural view. This rare wood piece above the fireplace is surely a sight to see. It’s not your traditional mantel, which makes it a distinctive and unique feature in this home. These rooms are so inviting, don’t you think? Paul Berg Design Associates would love to design a custom fireplace mantel that you’ll enjoy for years to come. 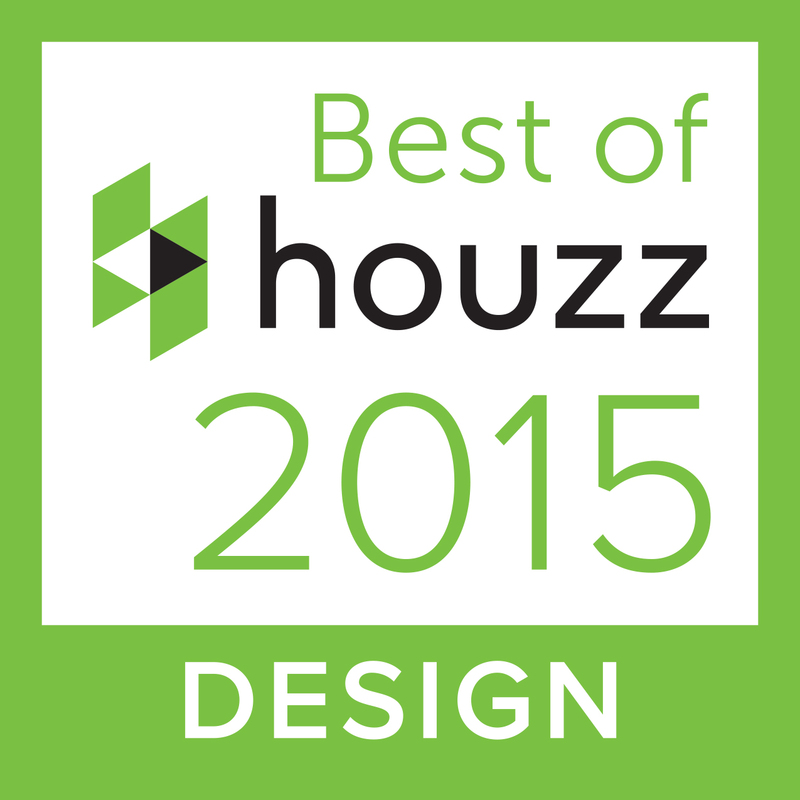 Contact us to find out how our team of design experts can bring out the best in your home!